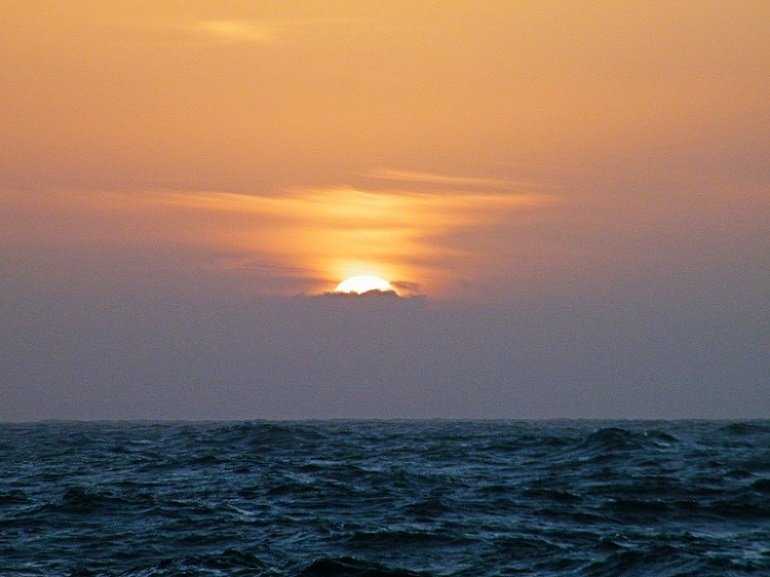 UK Shelf Sea Biogeochemistry Blog: Three, two, one … go! .... Welcome to the Central Celtic Sea! Three, two, one … go! .... Welcome to the Central Celtic Sea! It is 4th of April, 10 am and we have just finished almost all of the work for the day. Many of the SSB (Shelf Sea Biochemistry) scientists had a very early morning, rising at 2:30am for the first pre-dawn CTD of the cruise. Why we are doing all the work so early in the morning? Because we need to catch the phytoplankton while they are not fully active, so that we can start our measurements and experiments early and follow their activity throughout the day. There was a bit of confusion and “moving in slow motion" at the first CTD, but the usual pre-dawn rhythm quickly set in, followed by two glider deployments, and then another CTD after that. The last rays of sunlight disappear behind the clouds the night before the first pre-dawn. 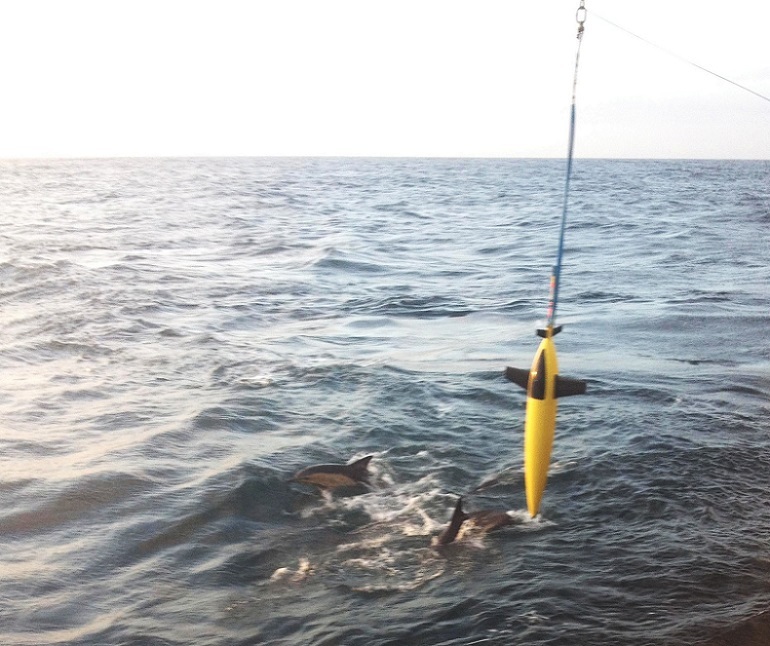 Dophins playing around the Seaglider and ship. Photo by: Charlotte Williams. Dophins playing around the RRS Discovery. Photo by: Charlotte Williams. 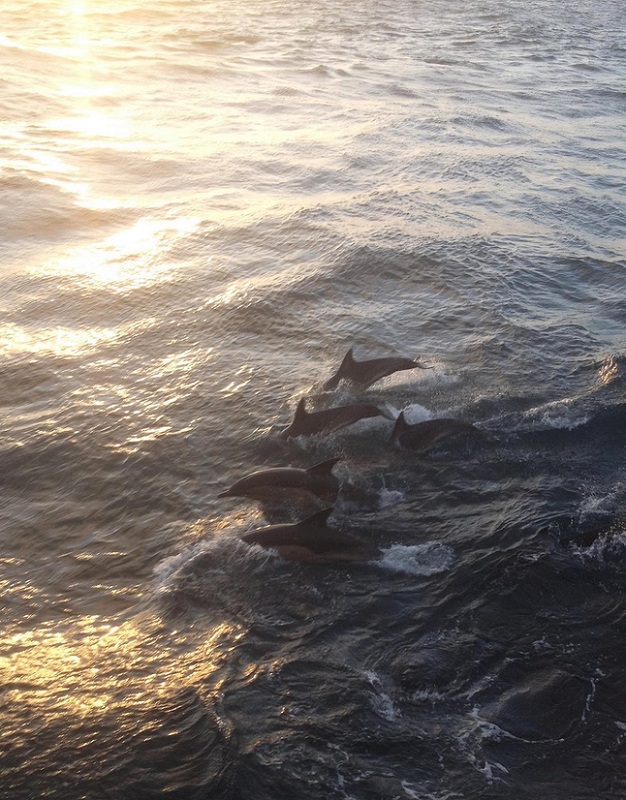 Apart from seeing the playful dolphins, it is always great to see scientists in action. James Fox and myself (both PhD students) enjoy comparing how our daily peaks of photosynthesis and oxygen production match on our instruments, which are set up next to one another in the main laboratory of the ship. A few minutes ago, there was another call for another CTD and scientists were already queuing to sample the CTD. Suddenly, Robin (our NMF technician) shouted: "three, two, one … go!" It is the Central Celtic Sea and we were ready!